Restaurant or homemade? | Fabulous Weekend Cooking!! Does this look to you like soup you would order in a restaurant? It does to me, but this is the absolute easiest and delicious homemade soup. 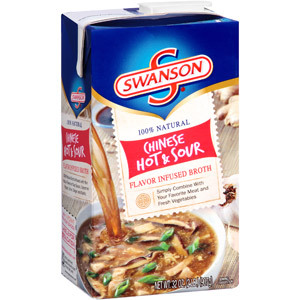 I have to admit it’s a bit of cheating because I am using the Swanson boxed hot and sour broth I discovered recently. But when something is this easy and tastes so good, why not??? There isn’t even a recipe here. I poured 2 boxes of the broth into a large pot, 1 box of pre-sliced mushrooms, 1/4 bag lentils, a few handfuls of spinach, and 2 packages shiritaki noodles. You let it come to a boil and then simmer for 30 minutes. BOOM lunch (or dinner) is ready! It’s a bit spicy so I am the only one in my house who eats it, but it makes me enough for several lunches. And of course you can add whatever your heart desires to this broth though! 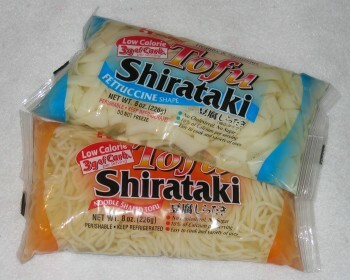 What are shiritaki noodles? I absolutely LOVE them. They are tofu noodles. May sound gross, especially to someone who doesn’t like tofu (I love tofu though), but once cooked they taste like any other noodle! The benefit is that they are extremely low carb and low calorie. Perfect for watching your weight but feeling like you are eating someting yummy. When you open the bag, pour them into a colander and rinse them. BEWARE it smells like fish so don’t be turned off LOL. I promise it has no hint of fish taste once cooked. I like to cut them with a scissor too – makes for easier eating with a spoon. I prefer the fettuccini noodles because I like wide noodles in my soup. Seriously, I am addicted to this soup. Try it! 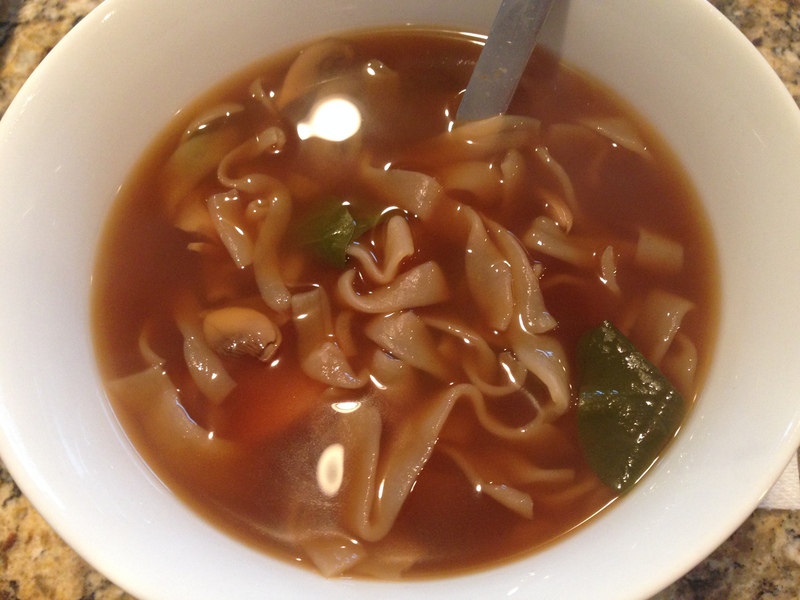 This entry was posted in Soup, Vegetarian and tagged homemadesoup, hotandsoursoup. Bookmark the permalink. 1 Response to Restaurant or homemade? Homemade soup really could not be easier. Just dump everything you like together and let her go!